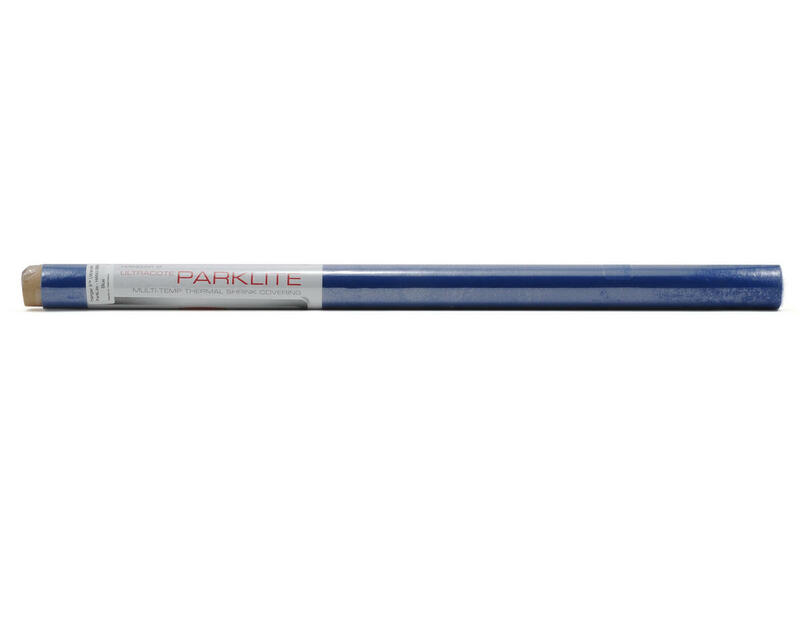 This is a two meter roll of Hangar 9 "ParkLite" Blue UltraCote. Hangar 9 is bringing its UltraCote® line of covering to indoor and outdoor electric lightweight aircraft with ParkLite®. UltraCote has proven itself to be the premier brand within the industry and the preferred choice for modelers looking to complete their balsa aircraft projects. At 13 microns thick, ParkLite is the perfect solution for lightweight aircraft and will be available in 16 popular UltraCote colors.